Are you in the market for a Chrysler, Dodge, Jeep, or RAM vehicle? 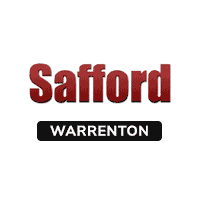 Make Safford Chrysler Jeep Dodge Ram of Warrenton your dealership of choice. With one of the largest selections of cars and trucks to choose from in the area, you will almost definitely find your new vehicle here at our dealership. What sets Safford Chrysler Jeep Dodge Ram of Warrenton apart from the competition? We have been the top Jeep dealer in Virginia for years, and no other dealer in the region can beat our team’s Jeep expertise and inventory. In the market for a Dodge? We are the only Dodge dealer in Warrenton, VA that has the full Dodge lineup. Looking for commercial vehicles? Check out the new Ram ProMaster series. This capable vehicle can handle whatever you need during the workday. Plus, it’s able to provide a smooth, comfortable ride while effortlessly towing heavy cargo along the way. Whether it’s the RAM 1500, the Dodge Challenger, the Jeep Wrangler Unlimited, the Chrysler Pacifica, or the Jeep Compass, we know you’ll be happy with your purchase. With the American-built, American-tough quality associated with Chrysler, Jeep, Ram and Dodge vehicles, your new car or truck will provide you with years of driving enjoyment – and if there is ever a problem, you can bring your ride to our auto service center. Our knowledgeable sales team will make sure the new car you choose has everything you expect from it. We are known for taking customer service to the next level. In fact, we have been awarded Chrysler’s Highest Dealer Honor for Customer Service: the “Five Star” Award. Here at Safford Chrysler Jeep Dodge Ram of Warrenton, we work to ensure that our customers are not only satisfied at the time of purchase but for the entire lifespan of their ownership. Our dealership is the place to go for a high-quality Chrysler, Dodge, Jeep, or RAM in Virginia. When you’re ready to make your new auto purchase, be sure to visit the experts here at Safford Chrysler Jeep Dodge Ram of Warrenton. Our professionals are dedicated to assisting each customer with discovering the perfect vehicle to meet their needs. Check out our New Car Specials and discover how much you can save on a brand-new vehicle. You are sure to be blown away by all of the options available to you. Safford Chrysler Jeep Dodge Ram of Warrenton is also the premier Chrysler, Dodge, Ram, and Jeep dealership in Virginia for auto shoppers who are searching for Factory-Certified Pre-Owned and Used vehicles. If you’re shopping on a budget, take a look at our Used Car Specials as well as our Cars Under $12,000. Each used car, truck, and SUV has been through a thorough inspection by our auto mechanics and service team. Therefore, you can feel confident that the vehicle you choose showcases the high level of quality that you expect. Before you select the Chrysler, Dodge, Jeep, or RAM of your dreams, you should consider the payment options that are available to you. Our dealership works with a network of lenders, and we are willing to go the extra mile to find exceptional financing opportunities for buyers across Virginia. So, whether you have good credit, bad credit, or no credit at all, you can feel confident that we will work to get you approved for a low-interest car loan. Get the car loan that you can afford at Safford Chrysler Jeep Dodge Ram of Warrenton, today. Get a head start on your auto purchase by making use of our online shopping tools. Utilize our Payment Calculator to get a better idea of an appropriate budget. Then, Value Your Trade if you’d like to trade a vehicle into our dealership. Depending on how much your trade is worth, this will do wonders for reducing the amount of money that you’ll be expected to pay out of pocket for your new vehicle. Once you have completed these steps and have narrowed down your vehicle options, Pre-Qualify for financing. If you are certain about the specific vehicle that you’d like to purchase, feel free to complete a full Finance Application online. Our professionals will be in touch with you shortly regarding the status of your application.